Avoid high-potential employee turnover with leadership development coaching. I recently came across an article in HR Magazine by Robert J. Grossman titled “The Care and Feeding of High-Potential Employees.” Grossman points out research done by the Corporate Leadership Council of the Corporate Executive Board that showed of 800 surveyed high-potential employees, 25% said they planned to change jobs within the next year. Among those searching for greener pastures, 64% felt their current employment was not contributing to their development. Even more alarming is the fact that employers who did manage to hold on to high-performance employees said 40% of internal job moves made by top talent ended in failure. Many of the organizations I work with have put plenty of time and effort into developing high-potential programs, but are frustrated by the difficulty they have had motivating and retaining those who, by all accounts, should be top performers. Grossman cites research that shows a divide between what employees think motivates high-po employees and what actually motivates them. • Give managers assessment tools they need and will use for selection. One reason why high-potential programs fail is that the selection process isn’t working. When managers don’t know how to identify high potentials, or when they don’t have a consistent criteria or method for identifying them, poor candidates sneak through. Executive coaching can help you find or develop the assessment tools you need, can ensure that tools are applied consistently, and can aid you in reading assessments so that the right high-potential candidates are identified. • Tap effective mentors. According to a study done by American Society for Training & Development, managerial productivity increased by 88% when mentoring was involved, versus only a 24% increase with training alone. But just as important as developing a mentoring program is finding the right mentors. Too often, organizations put time and money into mentoring, but they don’t spend nearly enough energy ensuring that those tapped to be mentors are cut out for the job, or that relationships make sense. 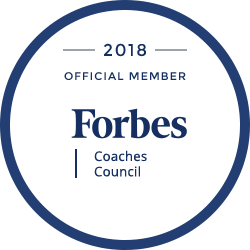 Executive coaching can help you identify leaders who are suited to step into the mentoring role, and can come up with a plan that ensures relationships aren’t hit-or-miss. • Align individual and company needs during the consultative process. Instead of dictating, make sure high potentials have a say in their development. I recently had a high-potential client who was offered a high-profile leadership role, with a significant increase in salary, benefits, and perks. However, the client was told that as part of the deal, he had to move across the country. The client, who had a son in his second year of high school and aging parents, chose to opt out and found a similar leadership role with a competitor. The organization lost an excellent employee, not to mention the time and money they spent training him. Instead of saying “If you do this then we’ll do that,” take the time to ensure that offers align with the employee’s needs. Leadership coaching can help you open up the dialogue to ensure that the interests and needs of both sides are balanced. High potentials can be a huge asset to your organization, when approached correctly. When not approached correctly, they can be a huge source of frustration. To find out how leadership development coaching can help you identify high-potential employees and ensure that both company and individual needs are aligned, contact TurnKey Coaching Solutions at 281-469-4244. Duplicate your star performers with TurnKey’s emerging leader programs, available throughout the whole country: Philadelphia, Houston (Tx), Dallas (Tx), Seattle(), Tampa (Fl), Los Angeles (Ca), Chicago (Il). See the full list of cities covered by our coaching programs for next generation leaders.